Keith Murray was born in Scotland on 18 May 1946. He obtained his BVMS (Bachelor of Veterinary Medicine & Surgery) degree in 1969 from the School of Veterinary Medicine, Glasgow University and became a registered member of the Royal College of Veterinary Surgeons in 1969. From 1969 to 1971, he was a Lecturer, University of Nairobi, School of Veterinary Medicine, Department of Medicine, Kabete, Kenya, East Africa while on secondment from the University of Glasgow. The position was funded by the UK Overseas Aid Agency and involved teaching clinical veterinary medicine to undergraduate veterinary students; running an ambulatory clinic for farm animals and emergency services for companion animals; and conducting research on the pathogenesis of Haemonchus contortus in sheep. From 1971 to 1974, he was a Research Fellow, University of Glasgow, School of Veterinary Medicine, Scotland where he completed his PhD in parasitology. His thesis was titled ‘Immunology and Pathogenesis of African Trypanosomiasis’. He was a Registered Veterinary Surgeon with the Veterinary Board of Victoria from 1990 to 1998. He was awarded a DVSc (honoris causa) from the University of Melbourne in 2006. From 1974 to 1976, he was a Research Fellow, Medical Research Council (UK) at the MRC Laboratories, Faraja, The Gambia, West Africa. There he was Leader of a Rockefeller Foundation funded ‘ Glasgow University staffed ‘ research project on the epidemiology and pathogenesis of trypanosomiasis in tolerant and resistant breeds of cattle in The Gambia, West Africa. At this time he also provided veterinary care (unpaid) for small animals and companion animals in the local community. From 1976 to 1979, he was a Research Fellow, Department of Animal Infections, Merck, Sharp & Dohme Research Laboratories, Rahway, New Jersey, USA where he was involved in the planning and execution of research on African trypanosomiasis and trichomoniasis. During this time his team developed improved screening methods for compounds active against Trypanosoma and Trichomonas spp. and identified several lead compounds for development as trichomonicidal agents. From 1979 to 1982, he was Associate Director, Department of Immunoparasitology, Merck, Sharp & Dohme Research Laboratories, Rahway, New Jersey, USA responsible for the planning and execution of research in immunoparasitology, particularly on coccidiosis, trypanosomiasis, Chagas’ disease, ticks and gastro-intestinal immunity, in support of the discovery of new methods for controlling parasitic disease. During this time he identified 2-substituted 5-nitroimidazole (MK436) as being a curative in models of chronic Chagas’ disease; developed improved methods for the synchronous culture of Trypanosoma cruzi amastigotes and trypomastigotes; developed a murine model of chronic human Chagas’ disease; developed a greatly improved tissue culture procedures for the in vitro growth of the avian coccidian parasite Eimeria tenella which has allowed greatly improved drug screening procedures and quantitative assays for the effects of immunological mediations on infection. From 1982 to 1986, he was Director, Departments of Immunoparasitology and Experimental Pathology, Merck, Sharp & Dohme Research Laboratories, Rahway, New Jersey, USA. His major achievements were: the discovery that poultry can be vaccinated successfully against coccidiosis using sub-unit materials; the identification of protective polypeptide and non-protein antigens in Eimeria tenella; the demonstration of protective antigens in E. acervulina that cross protect against heterologous species; and obtaining patents on E. tenella protective antigens: one on E. acervulina cross-protective antigens; another on an anti-idiotype vaccine. This work established the feasibility of developing a molecular vaccine to control coccidiosis, a major poultry disease in which prophylactic drug sales then exceeded $300 million annually. Unfortunately at the time of writing (2009), this vaccine for coccidiosis remains unrealised. From 1986 to 1989, he was Head, Division of Immunology and Pathology, Institute for Animal Health, Pirbright Laboratory, UK where his Research Interests centered around development of molecular vaccines; exotic viruses, e.g. foot and mouth disease; rinderpest; African swine fever; immunology; tropical diseases and parasitology. 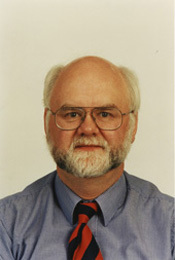 Keith Murray joined CSIRO in 1989 as Head, CSIRO Australian Animal Health Laboratory (AAHL), Geelong, Victoria, Australia, and Deputy Chief, CSIRO Division of Animal Health, positions he held until 1998. During this time, building on the work of his predecessor, Dr Bill Snowdon, AAHL increasingly became viewed as a major international facility with a positive national and international image. The AAHL scientific programs were completely restructured, as were the support programs. The science effort was successfully extended into new areas which were seen to provide national good; for example, much greater use of AAHL as a national facility by collaborating medical scientists and others and the initiation of major programs for the biological control of feral pests. One consequence was a significant increase in external funds for the laboratory. Other major initiatives included broadening the scope of collaborations in Asia and an increasing emphasis on technology transfer and training to State laboratories. In addition, the quality of expert advice provided to government, especially the Quarantine Service, was increased markedly. Some of the research successes during his time were the discovery of the Hendra virus, a novel agent that caused fatalities in horses and humans, and the discovery of a new rabies-related virus for the first time in Australia. While at CSIRO he served as Chairman of the Sub-Committee of Animal Health Laboratory Standards (SCAHLS). This is a technical sub-committee of the national Animal Health Committee and its members included the principal laboratory officer of each State and Territory. It provides critical support to livestock commodity export industries, among others. Under his Chairmanship they published a fifty-four chapter volume of Australian Standard Diagnostic Techniques which is now used as the national laboratory standard; implemented a National Quality Assurance Program for veterinary laboratories covering tests for more than 30 diseases of export significance and obtained Quality Accreditation to ISO 9002 and ISO 25 Standards for AAHL and most principal State animal health laboratories. communicating, and fostering collaborative research, with other government agencies, universities and outside institutions. In this position he initiated the development of a Strategic Plan for genomics research at NADC leading to the development of comprehensive resources for genomics and bioinformatics capabilities for staff and collaborators. One consequence was that NADC, in collaboration with the University of Minnesota, was the first to fully sequence the genome of M. paratuberculosis, the causative agent of Johne’s Disease. Murray K, 2009, Personal communication.